All our compression supports have a ”grippy” silicone pattern on the inside, which gives them a kinesiological effect and therefore increases the blood flow. This provides more energy and a better restitution both during and after match and training. The polyamide and spandex fiber in the compression supports is a lightweight fiber with excellent strength and abrasion resistance. It has very good elasticity and good resiliency. Because of the lycra spandex, the fabric easily returns to its original shape, and the special knitting of the fabric provides high compression and helps to normalize the conditions in the muscles. The inside silicon pattern is placed with consideration to the muscle anatomy. 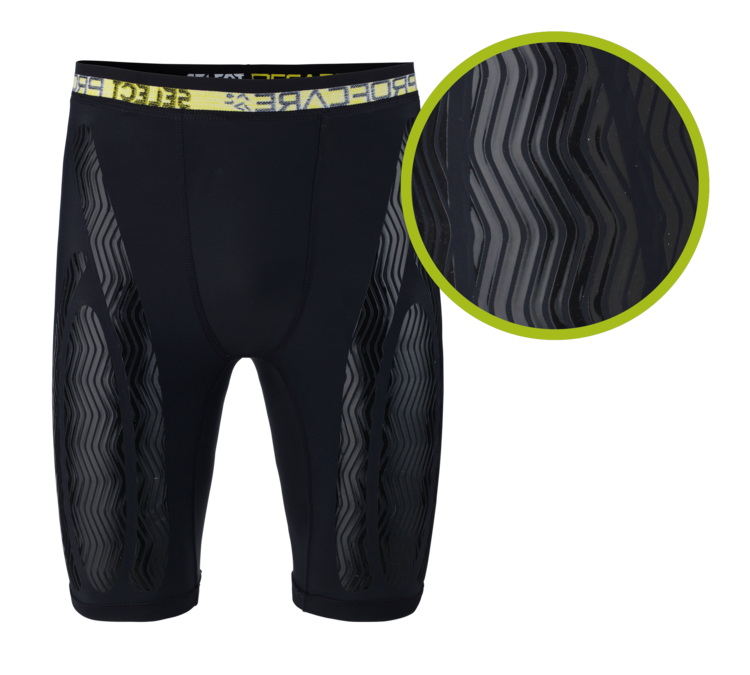 The compression supports keep the muscles stable and prevent vibrations damage in the muscle tissue, and the flat seam construction is strong and avoids any irritations. Visible, green marking on the outside for correct placement of the silicone pattern on the inside. ”Grippy” silicone pattern on the inside, which gives them a kinesiological effect.